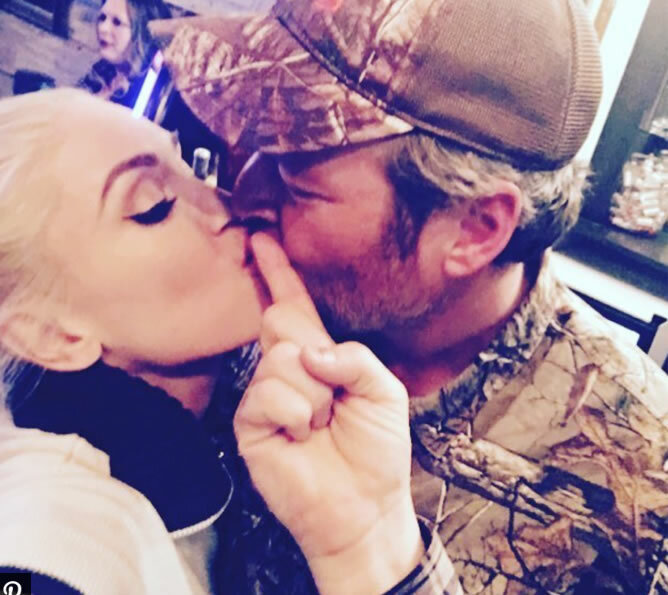 That was how this year's festivities came to a close for Gwen Stefaniand Blake SheltonThursday when the country crooner got a sweet smooch from his lady love on the annual American holiday. The two locked lips and the moment was shared on Instagram for all to see. "Happy thanksgiving," Stefani captioned the picture. "We love u sooooooo grateful !!!!" While they may have just started dating this time last year, the couple was not spotted together until a few days after the holiday when the two were photographed driving in a car. At the time, Stefani had celebrated the holiday at her parents' house with her three children, Kingston, Zuma and Apollo, and then took them to Disneyland for Black Friday fun. However, Shelton was notably missing from the outing.